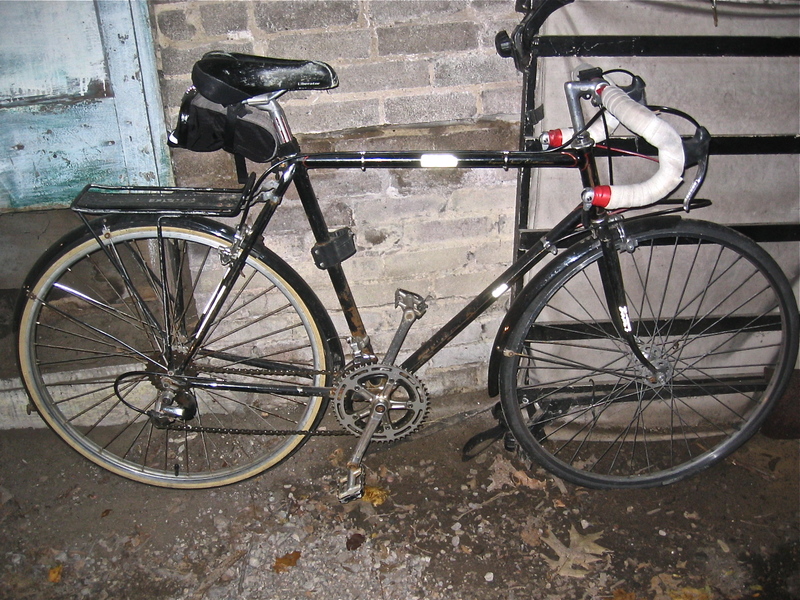 Growing up in Toronto, I was a six-month cyclist and six-month pedestrian/transit rider. Since moving back a few years ago, I’ve been shifting to closer to ten months of cycling. I realized that I feel much better when I get that daily exercise and sunshine, and it’s considerably faster for getting around, chaining trips and running errands. 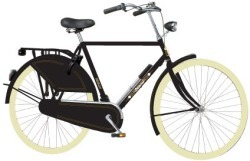 In the process, I’ve been trying to find the right bike for the job, and have just bought a pricy Dutch bike for the coming winter. 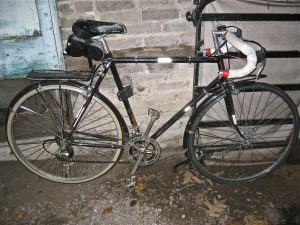 My summer bike is out of the question; it’s a nice bike, and far too vulnerable to the winter salt, grit and filth. Mike passed me a recent report from the Intergovernmental Panel on Climate Change (IPCC) Working Group III (Mitigation of Climate Change). The IPCC is quite famous for its reports summarising the scientific consensus on climate science, so I was curious to see what the process and results of their follow-up reports looked like. I only read the transport chapter, since it’s the part I understand. Providing public transports systems and their related infrastructure and promoting non-motorised transport can contribute to GHG mitigation. However, local conditions determine how much transport can be shifted to less energy intensive modes. Occupancy rates and primary energy sources of the transport mode further determine the mitigation impact. The energy requirements for urban transport are strongly influenced by the density and spatial structure of the built environment, as well as by location, extent and nature of transport infrastructure. If the share of buses in passenger transport in typical Latin American cities would increase by 5–10%, then CO2 emissions could go down by 4–9% at costs of the order of 60–70 US$/tCO2 (low agreement, limited evidence). I’m a little shocked that this paragraph garners low agreement and is considered to be backed by limited evidence. (I’ll exclude the final sentence, since I don’t know anything about that particular study.) The paragraph is already weakened by many words indicating uncertainty – “can contribute” … “local conditions” … “could go down” etc. But there isn’t even consensus with the weakened wording. I emphasised the one sentence on density and spatial structure – my personal research interest. Again, I’m astounded that there is still wavering about this subject. That sentence represents one of the report’s only discussions of urban form. It appears occasionally elsewhere in the chapter, but the framing unfortunately focuses on transportation, and treats land use as fixed – a massive oversight. While there are occasional mentions of the value of “co-ordinating” transportation and land use, these are not quantified and do not make it into the conclusions of the report. There is a separate chapter on housing, but it focuses on building construction and energy consumption, again omitting urban form. As so often in the past, urban structure is forgotten and falls into the cracks between disciplines. The report sensibly treats the US as a “special case” in the international context, since it’s so low density. (e.g., increasing transit service in many US cities could plausibly increase GHG emissions – if no new riders are attracted but more buses are on the road). But it’s a double-edged sword – it suggests that US cities can continue to follow an auto-dependent path, since the report doesn’t contemplate changing land use. At the end of the day, though, the main problem is the inconclusiveness of the research – the focus on the exceptional context of the USA has too often limited researchers from observing the clearer trends in other parts of the world. Integrated land use/transport models are still too immature for this type of policy analysis, and international comparison studies remain plagued by data incompatibilities. Finally, the field rarely presents its results in a policy-relevant manner – I have never seen a transportation/land use report that estimated the cost of a policy in terms of US$/tCO2-equivalent. It’s unfortunate – researchers in fields like biofuels are doing a lot of work to estimate greenhouse gas reductions, and their results are immediately relevant to policymakers. 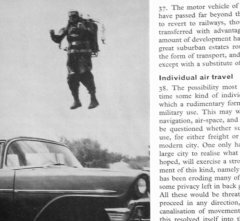 Almost all of these readings are old, dating back to my initial forays into understanding transportation. They’re listed in the order I read them, from newest to oldest. Most of the content is just quotations I found interesting, with a few comments. Many of the comments no longer reflect my current thinking; take it with a big grain of salt. If you’re an author of one of these publications and object to the (admittedly extensive) quotations I’ve included here, please let me know. Stephen Goddard. Getting There: The Epic Struggle between Road and Rail in the American Century, 1994. Robert Cervero. The Transit Metropolis: A Global Inquiry, 1998. Hugh McClintock. Planning for Cycling: Principles, Practice and Solutions for Urban Planners, 2002. Peter Newman and Jeffrey Kenworthy. Sustainability and Cities, 1999. Boris Pushkarev and Jeffrey Zupan. Public Transportation and Land Use Policy, 1977. John Punter. The Vancouver Achievement: Urban Planning and Design, 2003. Peter Newman and Jeffrey Kenworthy. The Land Use-Transport Connection, 1996. John Roberts. Quality Streets: How Traditional Urban Centres Benefit from Traffic Calming, 1989. Jane Jacobs. The Nature of Economies, 2000. Jane Jacobs. Cities and the Wealth of Nations, 1984. Eric Miller, David Kriger and John Hunt. Integrated Urban Models for Simulation of Transit and Land Use Policies, 1998. Mike Davis. Dead Cities, 2002. Fotheringham and Wegener. Spatial Models and GIS, 2000. Mark Garrett and Martin Wachs. Transportation Planning on Trial, 1996. Jane Jacobs. The Death and Life of Great American Cities, 1961. Paul Moore and Terry Thorsnes. The Transportation/Land Use Connection, 1994. I just finished a term paper on “corridors in the polycentric city,” looking at various bodies of literature and their ideas for the urban form in transit corridors linking nodes in a city. Along the way, I read Stephen Marshall’s excellent Streets & Patterns, a well thought-out analysis of road hierarchies and the subtle auto-oriented biases they introduce. Marshall talked at great length about the Buchanan report (Traffic in Towns), a British government report from 1963. The Buchanan report is an interesting beast. On the one hand, it documented all sorts of ills associated with the automobile in that era: parking everywhere, pedestrian injuries, derelict cars rusting in the middle of the city. On the other hand, the solution it proposed was to give the major street network over to cars entirely, labelling the main network “distributors.” It drew an analogy to a hospital: the rooms of the hospital (neighbourhoods bounded by distributors) are quiet, peaceful places; the corridors of the hospital are filled with food carts, stretchers and people moving everywhere. On the basis of this simplistic analogy, they recommended a similar treatment for cities. Is a city like a hospital, really? Should it be? Those questions went unasked. They also recommended rebuilding many major London streets with a pedestrian superstructure – rebuilding the outdoor pedestrian cafe experience one floor up on a system of walkways above the street. I’m glad that never happened. The report was well aware of the coming storm: at the time of its writing, the majority of Britons did not yet own cars, but it was clear that the nation had but a few years left. Once the majority owned cars, it was clearly going to be difficult for a democratic government to limit their use. The motor vehicle has been eroding most of the common amenities of life, but there is still some privacy left in back gardens, verandahs, bedrooms and on roof-tops. All these would be threatened if people could take off vertically at will. Garden privacy is under threat!